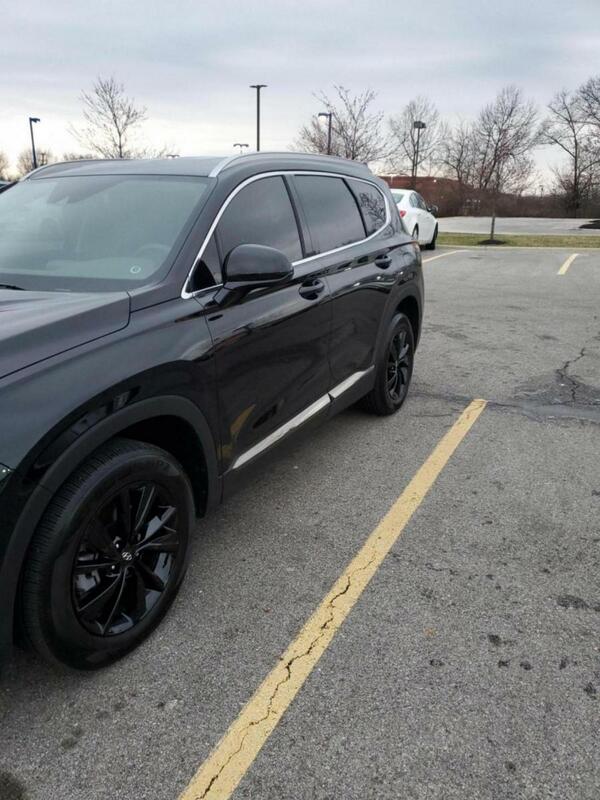 Hyundai Forums : Hyundai Forum > Hyundai Models > Santa Fe Forums (Please Post In The Correct Sub Forum For The Year Of Your Vehicle) > 2019+ Hyundai Santa Fe Forum (TM) > Tinting: Has anyone gotten the driver’s and passenger’s windows tinted? Every state is different as far as what is legal and any good shop will have it posted or give you information, then its up to you to stay within legal limits. A lifetime warranty won't offset a pretty big fine from the police. People need to check their state and local laws before spending a penny on this kind of "customization". We've known 3 people stopped specifically for having tinted front side windows custom tinted, and another for the rear window too deeply tinted - both state law violations here - both resulting in $400-$800 fines. Just saying...do some homework before proceeding. What % tint did you buy? Looks like 18% on the invoice. Wondering this too. They don’t seem 20% to me. Seem a bit lighter. Tint shop only does 20% so if it indeed is 20% that would be perfect. Went to local shop, told them to match rear, not sure the %. I believe 20? Legal % in your state, or province? 50% Front. No restriction rear.